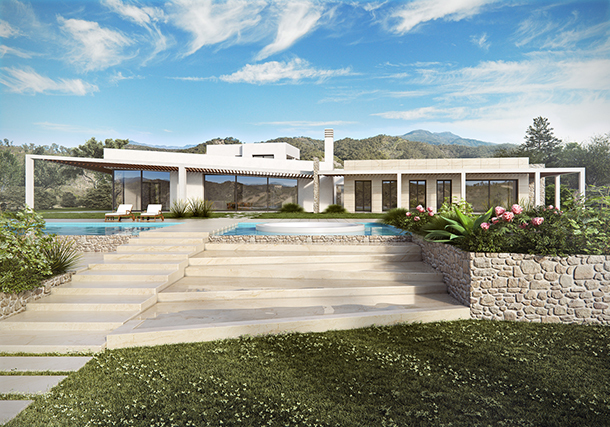 Zuhause was appointed as Consultant Design Architect for the design of this 500 m2 family home in Pollenca, Mallorca. Set within a UNESCO heritage site, the brief was to design a modern family home that referenced the natural surroundings. The concept considers the importance of the ancient farming terraces on the site, incorporating these layers of history within the modern aesthetic of the building. The layout of the house is primarily lateral, including two court yards, and six bedrooms.